DETAILS - Figured candle is hand-carved and painted with special dyes. Several small handmade candles will easily create a romantic atmosphere. Use them to prepare a romantic dinner or taking a foam bath. 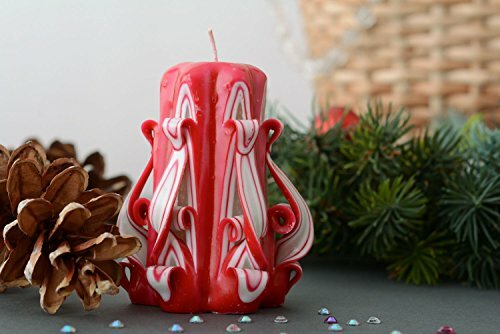 Decorative candle is made of wax, stearin and cotton cord.